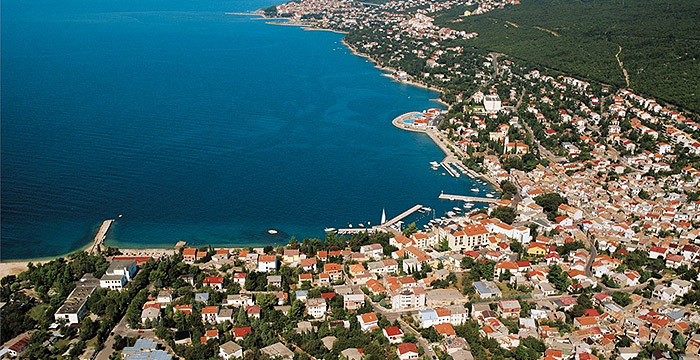 Selce and is colorful and maritime village with beautiful pebble beaches and clear blue sea. Selce is located 40 km south of Rijeka. Selce offers the possibility of different trips: Plitvica lakes, trips by boat and by bus to the Kvarner, Istria and Gorski Kotar. 1. Hotel Varaždin Selce - Hotel Varazdin is located in town Selce near the beach, and offers numerous possibilities for a pleasant vacation. In summer you can refresh in outdoor pool (with sea water), and in winter you can use an indoor pool (with sea water). 2. Vacation village Jadranka Selce - We invite You to discover and enjoy the beauties of Croatia, its climate, a heavenly blue sea, beautiful beaches and hundreds of breathtaking attractions. If You are interested in detailed information about this accommodation please contact us by email or phone and out operators will be happy to help You book an unforgettable vacation.